It was the first time this season Boise State (11-13, 6-5 Mountain West Conference) scored at least 100 points. 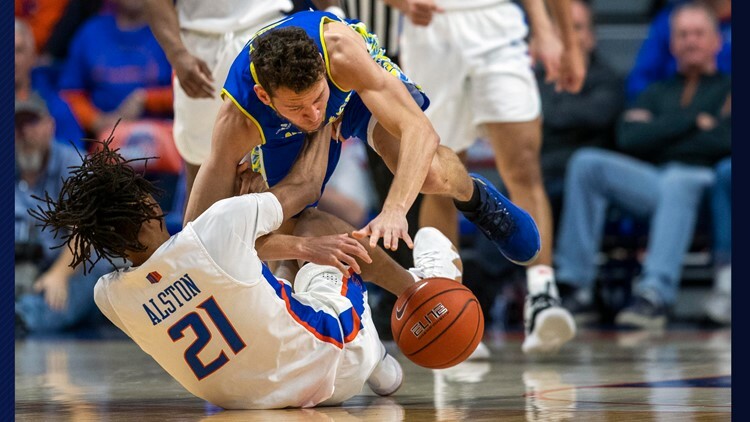 BOISE, Idaho — Derrick Alston had a career-high 33 points as Boise State romped past San Jose State 105-57 on Saturday. Boise State totaled 59 points in the second half, a season-best for the team. Michael Steadman had 16 points for the Spartans (3-19, 0-10), who have now lost 13 games in a row. Christian Anigwe added 10 points and 12 rebounds. Brae Ivey, whose 11 points per game entering the matchup ranked second on the Spartans, shot only 14 percent in the game (1 of 7). The Broncos improve to 2-0 against the Spartans for the season. Boise State defeated San Jose State 87-64 on Jan. 12. Boise State matches up against Fresno State on the road on Wednesday. San Jose State plays New Mexico on the road on Wednesday.